Halloween at Walt Disney World is one of our favorite times of year. We love it so much we’ve made this an annual tradition to visit the most magical place on earth. The combination of the Halloween Party, Food and Wine Festival, Free Dining and sometimes more milder weather is our idea of a fun, relaxing vacation away from it all. 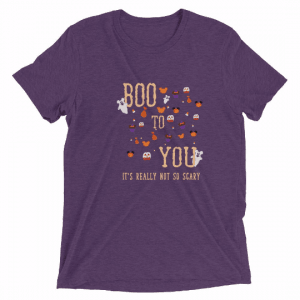 Since we’ve already shared quite a bit about Halloween in our other post, we wanted to take this one to highlight a few key hacks for Halloween at Disney and honor the Boo to You Parade, complete with lyrics. 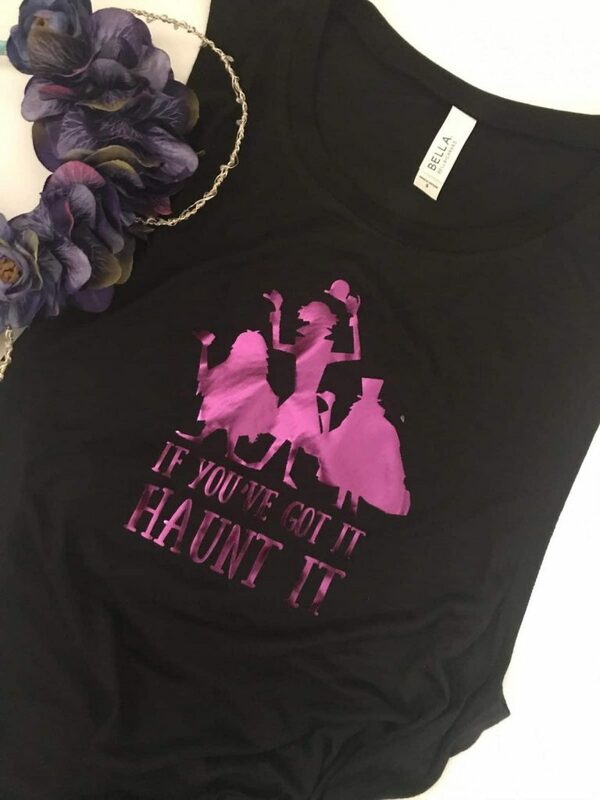 When we went to Walt Disney World the first time it was during Halloween and at that point we had no idea that we would love it so much to start this blog, open a Disney-Inspired shop on Etsy and become annual passholders. So now after years of going to Walt Disney World every year at Halloween we have a few tips. Mickey’s Not So Scary Halloween Party is an additional cost- usually 90 bucks or less per person. This is definitely worth it for you and your family to experience this at least once. Of course once that price gets above 100 bucks, it’s your call. We know Disney can get pricey! 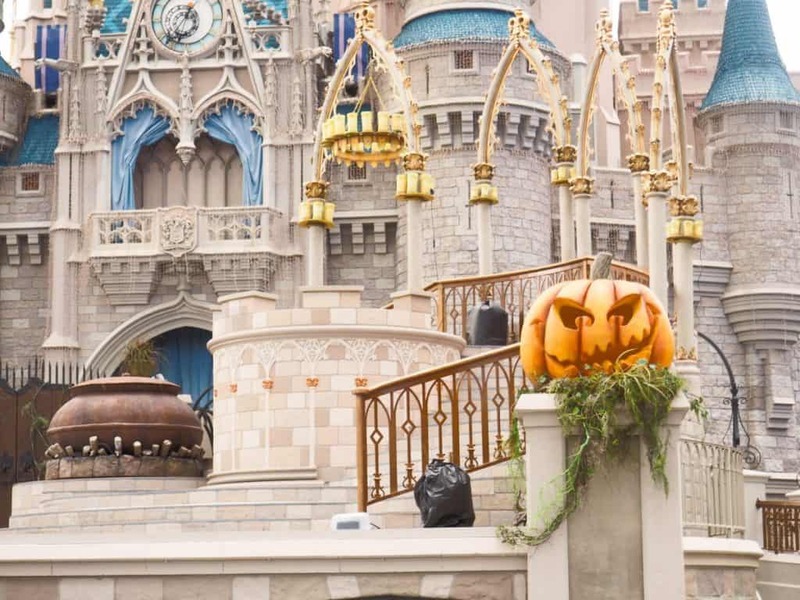 Magic Kingdom closes at 6pm on Mickey’s Not So Scary Halloween Party days and since these occur every other day, will cut into your Magic Kingdom evenings if you do not have a ticket. Be aware of this when your planning your trip as you could have 3-4 nights of your vacation where Magic Kingdom at night won’t even be an option because of the party. The party ticket will you get into MK as early as 4pm… and since you would need to buy a MK park ticket to get in earlier, we suggest using this day as your water parks or resort day. That way you don’t end up paying double ( once to get into MK as a guest and then again as a party guest). If you do enter Magic Kingdom early in the day as a regular guest, be sure to stop and grab your party wristband from one of the kiosks around the park. Cast members will begin guiding people out of the park at 6pm. You get a special Special Sorcerers of the Magic Kingdom card at every special event, so be sure to pick your up at the fire station on Main Street. Character-wise Jack and Sally are must-do at this party. They are located at the Storybrook Circus Tent and we recommend hopping aboard the Mickey Railway to get there either right at the beginning of the party or catch them right before the party ends. This can be an 3 hour wait in line if you don’t time it right. If you’re attending the party, grab dinner early. We always try for a 4:30 time slot which opens up the evening to partying and special snacks without spending it in a restaurant. Stop at Haunted Mansion to listen to Lady Carlotta share some jokes and Halloween tales. Everyone, and we mean everyone, will be racing frantically around the park to the Treat stations. Your map will show you were treat stations are located. Here’s a tip…just stop at a few and do so closer to the end of the night so you don’t have to tote it around on the rides. Believe us, they give you so much candy that you will undoubtedly spend half the night collecting candy, bring it back to your hotel room and then realize you really can’t fit it in your luggage. Does anyone need this much candy- probably not. Do all the fun stuff instead. Special Halloween treats are all over the park. Be sure to grab at least a few. We will always recommend dressing up. Mind you, be sure to check out Disney’s Costume Guidelines… they are specific to the party and strict, but still allows guests to have fun and be safe. If you’re not the dressing up kind there’s no reason that you cant still be in the Spirit of Halloween! 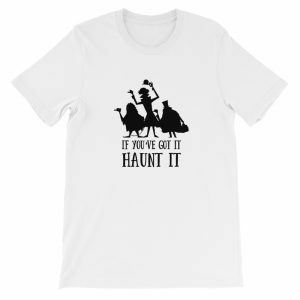 If you’d like something a little less loud than a costume but still Disney-centric, check out our Halloween Designs in the Shop. We’ve got designs for adults and kids. Got questions? Just head over to the shop and send us a conversation. There’s nothing better than being sure you’re dressed for the occasion, no matter where you are. We have a Disney apparel and accessories shop to get you ready. Check out our Halloween collection here. We release stuff seasonally, and have new shirts every year, so stay tuned or sign up for our newsletter to keep in the know. Ok, so if you’ve footed the bill for the Halloween party, get ready for the main attraction. The parade. Here a couple things to know about the parade specifically. ▢You can only see the Boo to You Parade at Mickey’s Not So Scary Halloween Party. ▢The first parade is always the most crowded. We suggest taking this time to tackle rides which will have lower wait times and catch the later parade instead. ▢The best spots to watch the parade are either in Frontierland on the porch of the Pecos Bill Tall Tale Inn and Cafe, or on Main Street. Anywhere on Main Street is great for a parade, but if you’re a photographer aim for the greenspace right in front of the Railway station. Here’s a map of the parade route you can download for a first look. We like these choices because the first one is usually less crowded than the front of the park, and you’re close to a snack shop with popcorn, goodies, and caramel apples for the parade. The second one on Main Street is great, but you will have to save your seat well ahead of time, about an hour. The green is somewhere people don’t know you can go, so its a little less busy and is the best spot to take pics because you get a nice frame of Main Street and Cinderella’s Castle. You pick… snacks or amazing photos…your choice! ▢ The Headless Horseman, from the Adventures of Ichabod and Mr. Toad, opens the parade, on days when the horse behaves that is. It really is the coolest thing to see, but sorta scary for little ones… so keep that in mind. ▢In addition to your favorite Disney characters dressed up you see at other parades you also get a few really special performances in the lineup. The Grave Diggers, The Haunted Mansion Dancers, and the Villains float are the headliners here. If you’re here for lyrics to the song you’ll hear over and over again at the parade, scroll below. Hopefully we’ve shared the big details you’ll need to know to get through the night!